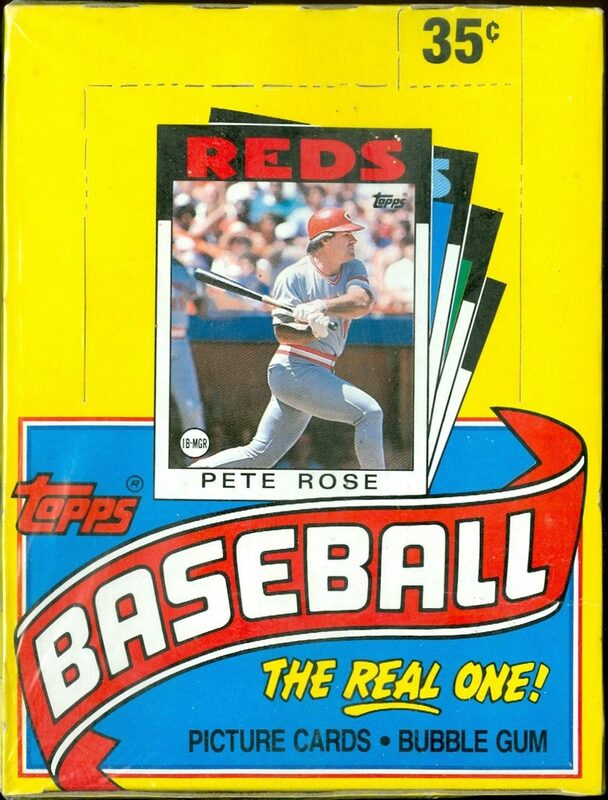 1986 Topps Baseball is a 792 card set that first appeared in 35-cent wax packs, rak-packs, and in factory set form. These cards are not rare and you can still find un-opened packs/boxes for sale on eBay today. The more notable (and valuable) rookie cards appear in the 1986 Topps Traded set that followed the release of the main set listed below. There’s still some collector value in the individual cards, but keep in mind actually selling for the values listed is somewhat difficult because the cards are so common – and most die-hard card collectors have already collected this set. More common is finding completed sales of complete sets, which will sell for a fraction of the total values listed below. We’ve listed complete 1986 Topps Baseball card set values at the bottom of the article. 99 Buddy Biancalana → $0. 353 Keith Atherton → $0. 405 Roger Maris TBC → $0. 450 Graig Nettles → $0. Complete sets of 1986 Topps Baseball cards come in several forms including Factory Set form in two different color boxes. One factory set in in a yellow colored box, the other factory set is in a white colored box. The yellow colored box is often called the Christmas Edition – or in today’s hyper sensitive politically correct era – the “Holiday Edition” 1986 Topps Factory set. These sets often fetch a slightly higher price than other versions. Topps Tiffany is the high gloss version of the set that was only available in factory set form. Depending on the condition of the box, sealed and non-sealed versions can sell for decent money.